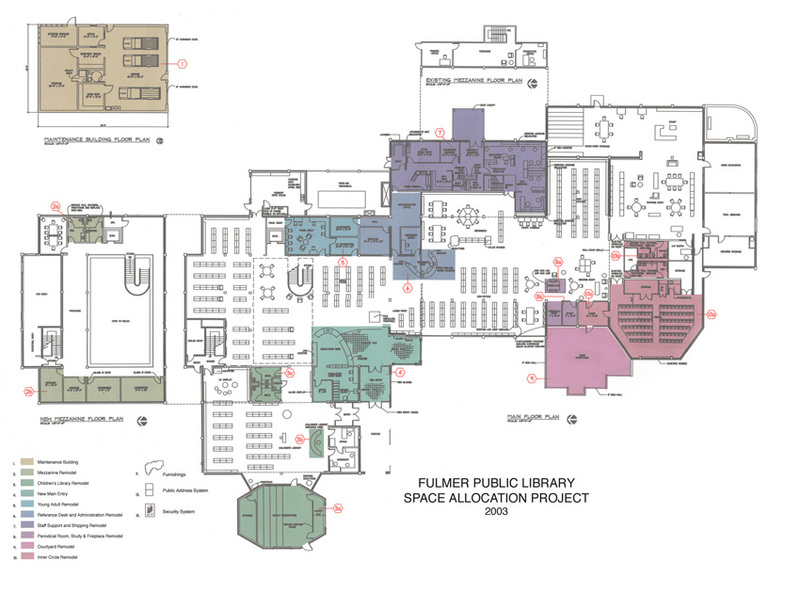 The Sheridan Library, originally designed by our firm in the mid-1970’s, needed a complete modernization of circulation desk, reference area, administrative space allocation, and reconfiguration of large and small meeting rooms. The Library chose the team of Malone Belton Abel and Kathryn Page Associates to perform a study, based on our knowledge of the building and its systems, and Kathryn Page’s knowledge of current trends in library media delivery. 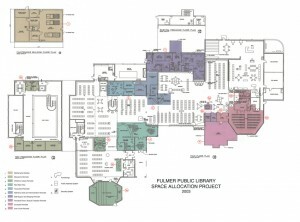 The team worked closely with library staff, board, and members of the public to achieve a design that could be broken into numerous funding phases. We completed the study in 2003. 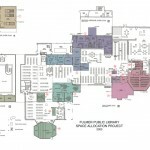 The second part of the project involved the detailed design of the multi-stage remodeling phases, shown in distinct colors on the plan.The library was able to remain open during the entire constuction time.